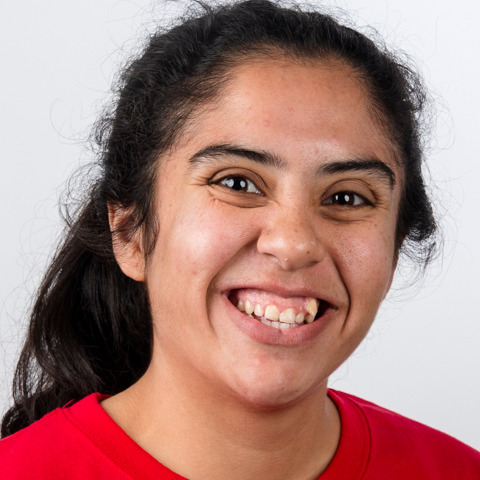 Magdalena Robles has been participating in Special Olympics for 15 years and is a true long distance runner. She plays basketball mostly to stay in shape and really has no idea how good she is. She is quiet and is usually just watching, but when she is in a basketball game, she is a dominant defender. She has competed in the 2018 Special Olympics USA Games in New Jersey and looks for to traveling to Abu Dhabi even though she hates to fly. Courageous is a good word to describe Magda. She will alway try her best and can't wait to get off the plane in Abu Dhabi.